Annual Choir Concert by the Grace Church Choirs Friday 29 April at 7:00 p.m. 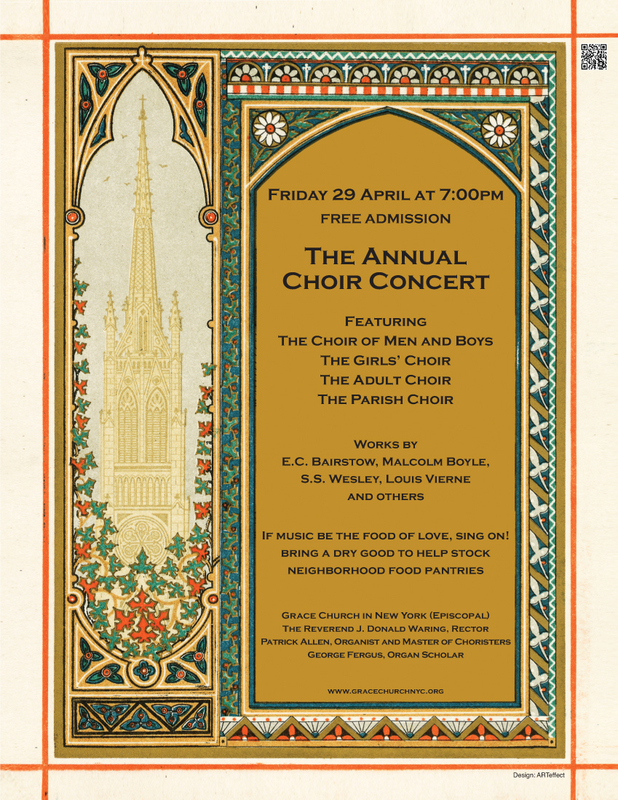 The Annual Choir Concert offered by the Senior Boy and Girl Choristers’ with the Adult Choir will take place on Friday, April 29th at 7:00pm. The Concert is free and open to all. The Program will feature a musical offering of works by Beethoven, Boyle, Forme, Haydn, Ireland, Mendelssohn, Stainer, Titelouze and Vierne. A special reception will follow the Choir Concert with proceeds from ticket sales and donations to benefit the Choir Special Projects Fund. This fund helps support special opportunities for the choirs outside the scope of the regular budget such as the wonderful concert tour to France that was accomplished in the summer of 2015. 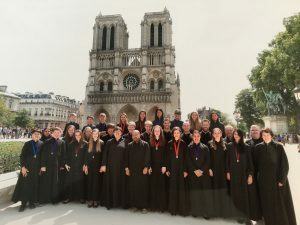 To purchase tickets for the reception or to make a donation to help the choir raise funds for the summer tour please CLICK HERE. Click One Time Donation, then follow the directions and in the comment section write Concert Reception Tickets and how many tickets you are purchasing.